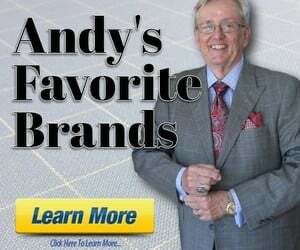 Discussion in 'Andy's Fashion Forum' started by Sir Walter, Nov 29, 2009. Other than the price. What are the qualitative differences? If they both sold shoes at similar price points would they be seen as equals? I'm sure that someone with more detailed knowledge concerning the production of each will offer better information, but from my rather casual perspective, EG offers somewhat more elegant lasts, finer detail in construction and perhaps slightly rarer materials than C&J's top-line Handgrade, but both are superb. If you were to have a shoe from each in your hand, would you be able to point out these qualitative differences? That would depend on how much you paid me! I would try, but I fully acknowledge that my opinion is entirely subjective, and more informed wearers might disagree. One thing I find characteristic of EG is that they usually look more delicate in a positive way than many shoes, but that is clearly subjective. I hear the word elegant bandied around when talking about shoes, especially it seems, Edward Greens. EG shoes/lasts are almost always referred to as more elegant than those to which they are being compared. What exactly does it mean? Is it an entirely subjective term, or is there a characteristic that can be pointed out that denotes elegance (in a shoe)? This is not an attack on EG - I'm just something of a curious shoe newbie. A few years ago I special-ordered a pair of size 10 E CJ Whithalls (a cap toe oxford) through Ben Silver, after returning the 10 D's which is the size Ben Sliver normally stocks. I wore them a few times. Although the fit was an improvement over that of the 10 D's, the shoes are uncomfortably tight. Subsequently I was able to get Edward Greens in a size/last combination (10 F/202) that is a very comfortable fit. I have tried other makes of US and UK-manufactured shoes and nothing except custom-made fits as well as the EG's. Many who post here about shoes speak well of CJ's fit. I may have peculiar feet. I cannot comment objectively on the CJ's vs. the EG's with respect to elegance or other subjective considerations, in part because I know which shoes are which brands. Perhaps a double or triple blind test would yield useful information. I do like how the CJ's look when worn. I just can't walk very far in them. Reginald can wear them to the McKillops' garden party. I think it is essentially subjective, though there may be some broad general agreement. EG may likely be thought elegant by many, Crocs by far fewer. Another exercise for this comparison might be to go to website featuring each. Pediwear shows a good assorment of C&J, and Leathersoul has some elegant EG's. I can clearly see a difference. Can you? My reason for strtig this post is I have seen both lines of shoes in person at Skyvalet. I too am having a difficult time finding a pair that fit in the C&J because of the narrow width that most models are offered. I find both to be very elegant but I do no see a difference which supports the $300 or more price difference. took apart EGs and C&Js and found one particular difference: it seems C&J buys in some pre-assembled components from Bartoli, presumably as a cost-reduction initiative. Both manufacturers were equally criticised for their reliance on toe caps to which thermoformed materials had been glued. EGs are far less widely distributed generally than C&J, so this adds to an aura of exclusivity in their RTW collection, an aura supported by a substantial price premium. Also, they are better known for their MTO offerings than C&J, and this aura of craftsmanship percolates down to their RTW line, in a way reminiscent of a bespoke maker's RTW offerings. So the price premium would appear to be mainly a marketing-driven one. If you are speaking of Crockett & Jones Hand-grade shoes there is very little that separates them from Edward Green which may or may not justify the $300 difference in price. The main difference which has been cited before is that Edward Green's lasts are considered by many to be far more elegant that C&J. Another difference would be the hand burnishing of the calfskin uppers. Edward Green does a much better job than C&J of antiquing the uppers to create a rich and complex patina where sometimes C&J can be a slight bit sloppy. Also, from my experience the seams on the back of the shoe on the top of the heel are often cleaner and more precise on EG over C&J. However, unless you like a particular model of Edward Green more than Crockett & Jones I would not pay the extra money for such minor differences.